Length of the cylinder. 1-1/8" is standard cylinder length for most residential applications. Cam is located on the back of a cylinder. Cam #1 (Adams Rite type) is supplied as standard with 1" cylinder. Cam #2 (Yale standard type) is supplied as standard with all other cylinders. 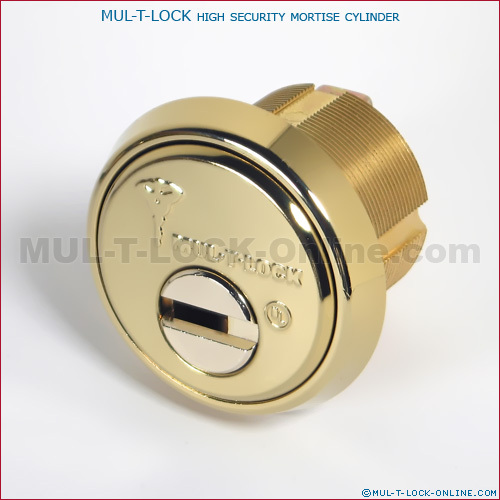 MUL-T-LOCK manufacturers a vast array of Mortise Cylinders. Fitted with manufacturer specific tailpieces (cams), MUL-T-LOCK's Mortise Cylinders will fit into just about any Mortise Lock in the market. Different sizes are available depending on the door thickness. Cam: "Yale" Standard or "Adams Rite". Other cams available upon request.